DUBAI: Saudi crude exports fell in August for the fourth month in a row to their lowest levels in three years, official data showed on Monday, as the top oil exporter fights for market share amid weak demand and ample supplies from rival producers. Saudi crude exports have been sliding in the past few months as shale oil squeezes Saudi oil out of US markets and as demand in Asia, particularly in China, has been slower than expected. The OPEC heavyweight exported 6.663 million barrels per day in August, down from 6.989 million bpd in July, according to data from the Joint Organizations Data Initiative (JODI). 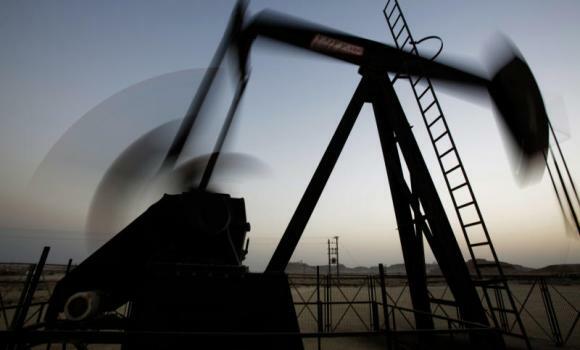 North America’s shale boom has started to squeeze Saudi oil out of the US market, the International Energy Agency said in a report last month, estimating Saudi exports would run below 7 million bpd for the last four months of the year. US imports of crude oil from Saudi Arabia averaged around 1.0-1.2 million bpd from May to August, compared with around 1.3-1.6 million bpd from mid-2013 through April 2014, analysis of data from the US Energy Information Administration and Thomson Reuters Trade Flows shows. Last week, Saudi officials briefed oil market participants in New York on the Kingdom’s shift in policy, making clear for the first time that the Kingdom is prepared to tolerate a period of lower prices — perhaps as low as $80 a barrel — to retain market share, Reuters reported on Monday. It has already cut selling prices for its crude to hold on to Asian customers. Riyadh can easily ramp up production, running at around 9.6 million bpd in August, or draw on storage to cover any surge in domestic demand and keep its exports steady. But that could leave it in the long run with less than the 1.5 million to 2 million bpd of spare capacity it would like to retain in case of any unexpected global supply shortage, as risk remains high in the complex politics of the Middle East. Saudi Arabia is likely to keep its oil output steady throughout the rest of the year, an industry source told Reuters. Industry observers estimate that monthly Saudi exports will amount to around 6.9 million to 7.1 million bpd until December.